The Limited Pro Stock/Super Farm class is sometimes seen along with the Interstate Pullers Association but is called ‘Mod Turbo’ in the eastern part of Pennsylvania as well as Virginia and Maryland. The rules for the Limited Pro Stock division and those of the Interstate Pullers are quite similar allowing tractors to move back and forth between the two divisions. This class of ‘smokers’ is promoted regionally by Full Pull Productions, Inc. The Champion in 2018 was the Ferringer Team from Dayton, Pennsylvania with their John Deere named “Smokin’ John”. This tractor has pulled with USA-EAST for many years and has finished in the runner-up spot, but never rose to the top until this season. The Team owner is long-time puller Larry Ferringer who also campaigns another new green tractor named “Still Smokin’” in the same class. The driver is Gregg Ferringer from Pittsburgh who is also a professional personal trainer. The team had their best year ever in 2018 as they also won a second championship in another circuit while having to pull in over 25 events this season. 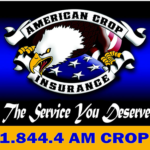 The class sponsor was American Crop Insurance from Louisville, Ohio. Jim Stinson and his team helped to make a very handsome end-of-season point fund for the Limited Pro/Super Farm division. 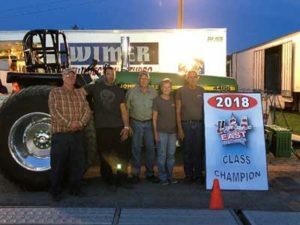 Wimer Fuel Injection and Turbo of Sandy Lake, Pennsylvania was named “The Official Fuel Pump” of USA-EAST Pulling again for 2018 The company provided a very handsome contingency fund for the Limited Pro and Super Farm class this season.